Looking for a new way for your students to review significant elements in a novel? There are four different types of foldables included in this file which will be used to reflect a variety of important elements within S.E. Hinton's popular novel, The Outsiders. 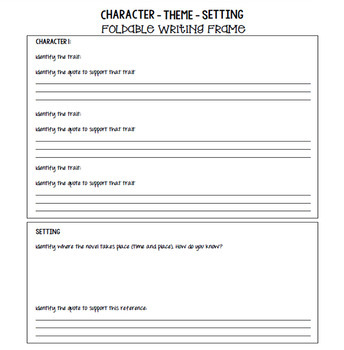 Three writing frames have also been included for students who need to organize their thoughts first before putting their ideas onto the foldable. The foldables can be used for any of the books within the series. • This foldable examines vocabulary and language. Students will evaluate words, phrases, and terms that are significant to the novel. • This foldable examines a character in depth. 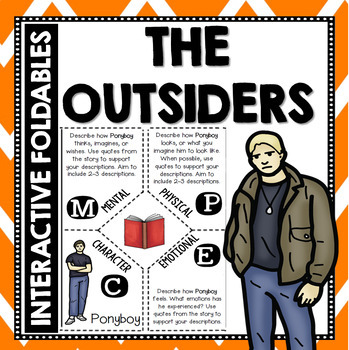 Students select their character of choice and take a deeper look into their physical, mental and emotional elements, such as Ponyboy, Dallas, Cherry, etc. 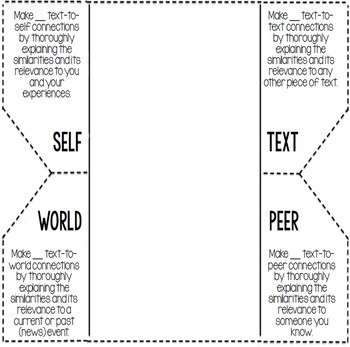 • This foldable examines one self, text, world, and peer connection. It evaluates individual comprehension and promotes a new way of thinking. 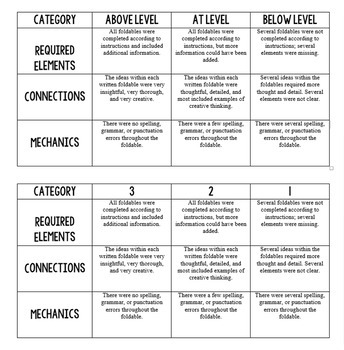 • This foldable examines as many self, text, world, and peer connections (as suggested by the individual teacher). Whether you are a veteran, or new to the interactive foldable concept, it’s a great way to engage your students and the foldables can easily be added to an existing novel study unit!